After publishing my initial review of the Sangean ATS-405 on July 25, I contacted Sangean and requested a sample radio for comparison purposes. Back story: there were some receiver performance issues that I suspected may have been tied to my particular ATS-405 unit. Sangean kindly dispatched another ATS-405 which I received last week. The following is an update to my initial ATS-405 review. I noted in my initial review that the initial ATS-405 had an ever-present noise, a sort of low-volume static hiss. The noise floor, while not high, certainly seemed to be higher than other comparable shortwave portables, and was most noticeable when tuned to marginal/weak stations. I suspect many listeners may not notice it unless they compare it with other portables. Fortunately, my new review unit’s noise floor seems to be slightly lower than that of my initial review unit. [Perhaps this unit’s board is better soldered–?] The noise is still there, but can be better mitigated by judiciously using narrow filters and the three-position audio tone control. I suspect this is a noise somewhere in the audio amplification chain, because I find it less noticeable with headphones, and more pronounced via the ATS-405’s internal speaker. In terms of sensitivity and selectivity on the shortwave bands, I believe my new unit is identical to that of the initial review unit. That is to say, the ATS-405 is not an especially sensitive shortwave receiver, but fairly average, and thus will fit the bill for most but not for the discriminating weak-signal hunter. Frankly, even my $46 Tecsun PL-310ET does a better job of pulling in weak stations. 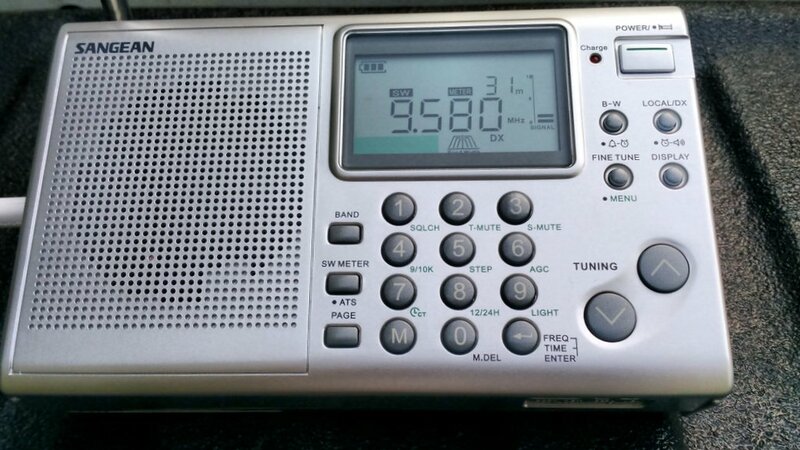 I’ve tried tinkering with the AGC settings and soft mute–very cool features!–in an attempt to improve sensitivity, but alas, these only help the quality and stability of the received signal. Immediately after opening the box of the new ATS-405 sample, I popped in a fresh set of AA batteries and tuned the Sangean to 1600 kHz AM. [If you read my initial review, I noted a strong DSP birdie on 1600 and (to a lesser degree) on 800 kHz]. At first listen, I was happy to note that the new unit lacks the wild DSP noise that overwhelmed my favorite local station on 1600 kHz. As I listened more carefully, though, I did note a metronomic “chick” sound that was also present but partially buried in the noise on my initial ATS-405. Listening to these samples, I realize I may have had the filter set to the middle position on the first sample and the wide setting on the second (hence, the brighter tone). Note that this was recorded at least 100 feet from my house on the tailgate of my pickup truck. DSP birdies on 800 kHz sounded very much like the 1600 kHz sample, save the noise level on the latter is slightly lower and there are no broadcast stations in the background. 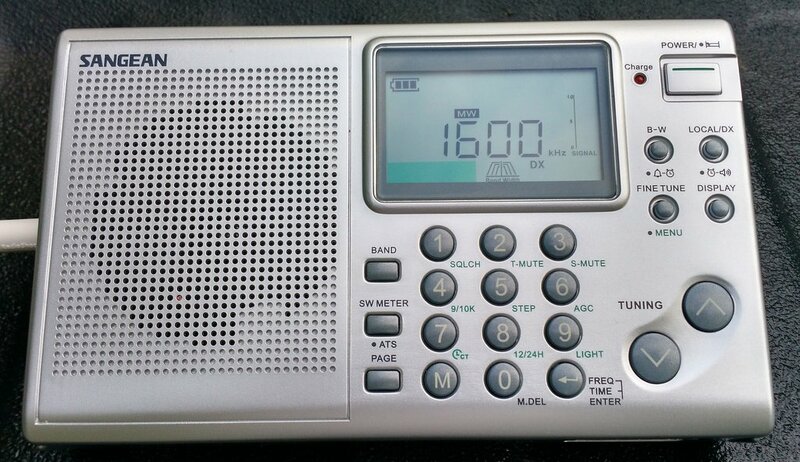 None of my other portables have digital noises or birdies on 800 and 1600 kHz. So, the bad news: I do still hear a noticeable (and slightly annoying) internally-generated noise on the new review unit. The good news: it isn’t as objectionable as that on my initial review unit. In short: I stand by my initial review of the Sangean ATS-405. While the new ‘405 review sample seems to perform better than the initial ‘405 sample, I find the discrepancy somewhat marginal, especially since I spend the bulk of my time on the shortwave and mediumwave bands. I’m not a fan of production runs where units vary so greatly from one to another, making accurate testing difficult. Therefore it’s quite possible you might receive a unit that performs better than those I tested…but unfortunately, the opposite is also true. So, if you’re a Sangean fan, if you don’t mind the birdies on mediumwave, and if you mostly listen to strong shortwave stations, you may entertain purchasing an ATS-405. The keypad layout is almost identical to previous Sangean models. To be clear, of course, this radio’s negatives above have been viewed under a microscope; the ATS-405 is not a “bad” receiver, it’s just not that exceptional. Other than the added mute/AGC/squelch features, when compared to its predecessors, it’s really not a better iteration. In conclusion? For the $90 US price, I believe there are better receivers out there–such as the Tecsun PL-600 (which, as a bonus, has USB/LSB reception–and saves you $10, to boot). This entry was posted in AM, New Products, News, Reviews, Shortwave Radio, Shortwave Radio Reviews and tagged ATS-405, Birdies, Radio Reviews, Reviews, Sangean, Sangean ATS-405, Sangean ATS-405 Review, Shortwave Radio Reviews on August 11, 2015 by Thomas. My intention is primary for FM ( so for me RDS is a must), and then play around with rest of features, bands, MW, SS. Have read that HX presets selection may be a bit difficult, but……rest of features are amazing. ATS, also has pros and cons; both are quite similar in price. ……so , the winner is……? P.S: wonder why Tecsun does not provide RDS in any of theyr models! arrggg…..
Well, my experience s now that I got 6 weeks under the belt, its overpriced. Yes, it has flaws, but so do the Tecsun low-end DSP’s. As far as SW not being a main concern, well, it shouldn’t be in the US. There are just a handful of SW-BC’s pointed at us. Even the BeeB no longer BC’s to us. CRI, RRI, RNZI, R.Aus, R. Hav. is about it. If this were a US$50-75 set, I can see its place.. as an improvement over the low-end Tecsun’s. But in this price range, theres better, and not necessarily DSP, theres still a few good PLL’s. 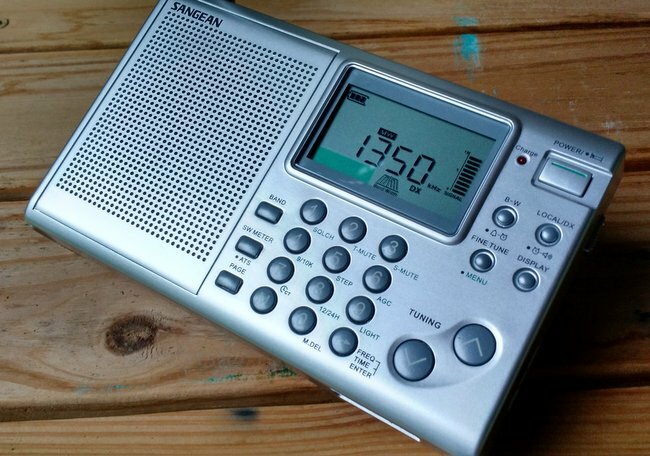 Shortwave is no longer a priority for Sangean. Shortwave sales account for a tiny percentage point of their overall products. This radio is nothing more than a lemon. When I headed to Sangean with my PL660 and PL880, their faces got a bit red . And it was confirmed by someone who had retired a few months ago after I showed him the radio that I was correct. It’s just a radio made up of spare parts laying around and very limited testing. Did you tune around 800 and 1600 kHz in 1 kHz steps to see if the strong birdies are near these frequencies, like Paul S. mentioned in an earlier comment?